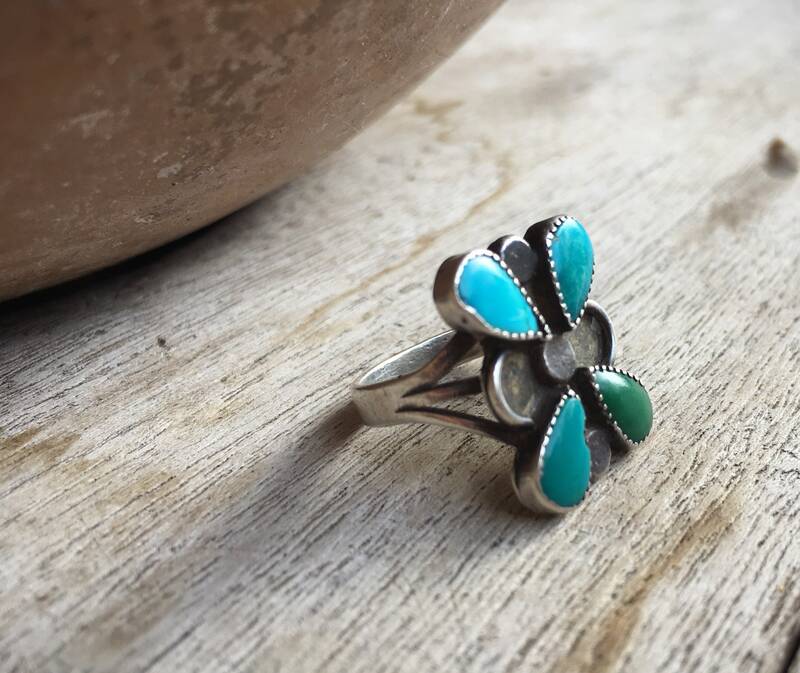 Here we have a simple 1970s turquoise ring with four cabochons of slightly different colored blue to green turquoise in a setting that is reminiscent of a butterfly. The four cabs create the wings and three silver dot discs create the body between the wings. This is a stylized piece, so not exactly a figural butterfly, and I prefer the more abstract look. 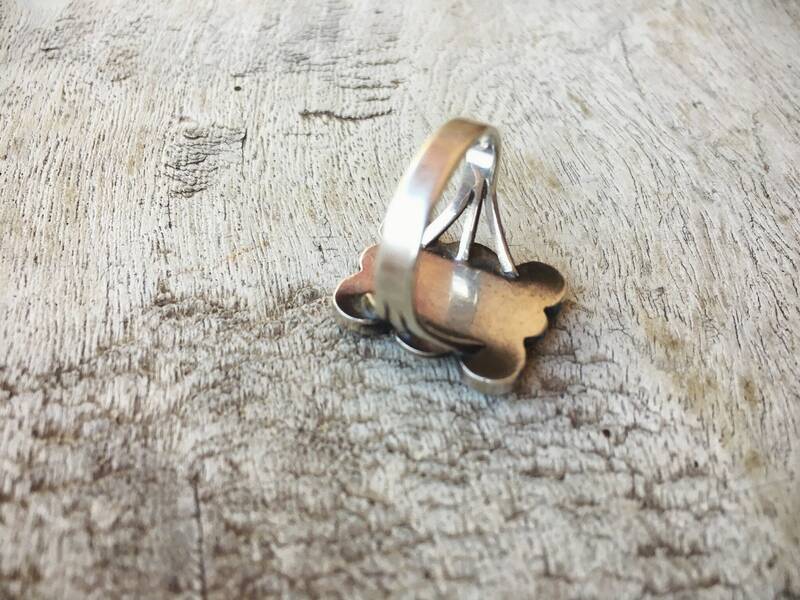 The ring base and shank are unmarked silver, and do not magnetize. 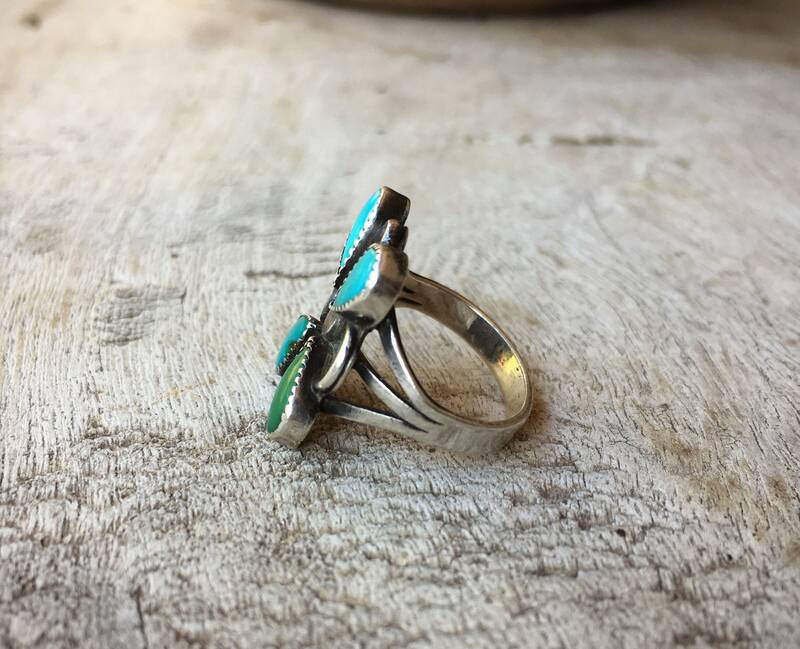 While the ring is unsigned and therefore we cannot say with certainty that it is Native American, we believe it is Zuni or Navajo. 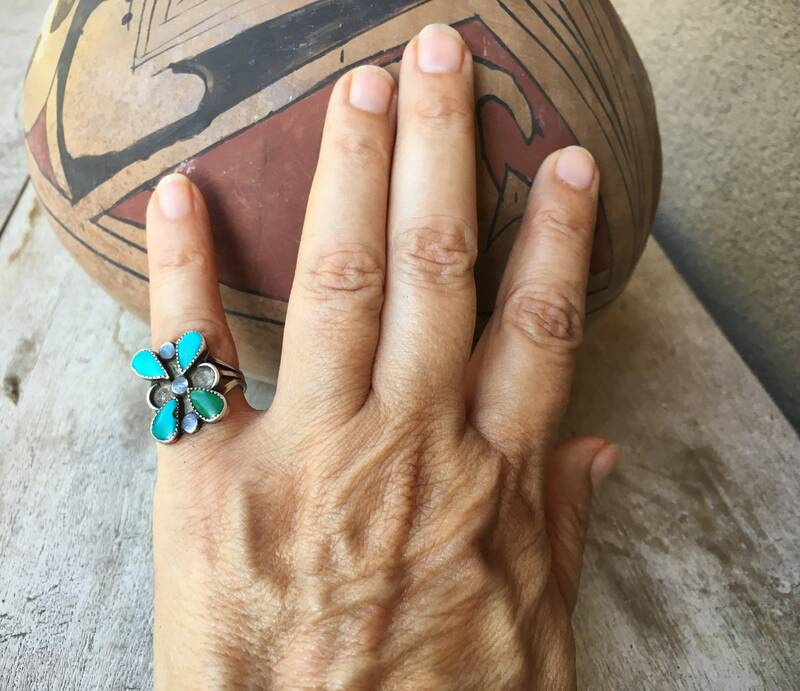 The ring face measures about 5/8" across by 3/4" tall. The Size 5 shank can be resized--see info below regarding cost. Some scratching of the silver on the back some wearing down of the sawtooth bezel. 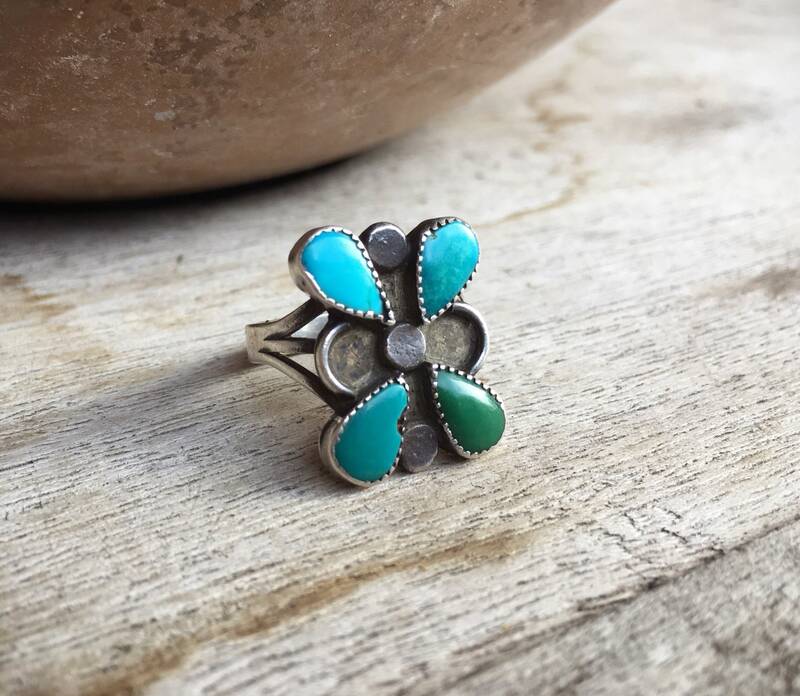 One of the pieces of turquoise has a small brown divot, which is mother stone, although it may resemble a chip. It is not. 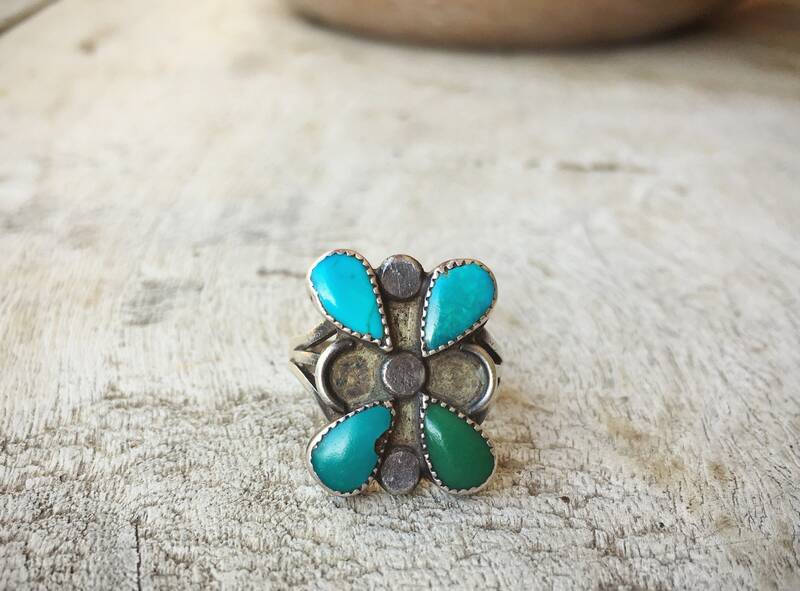 A symbol of joy and transformation, butterfly spreads beauty throughout the land.